It’s important for many families these days to find the most energy-efficient, eco-friendly ways to run the household in order to stay green. 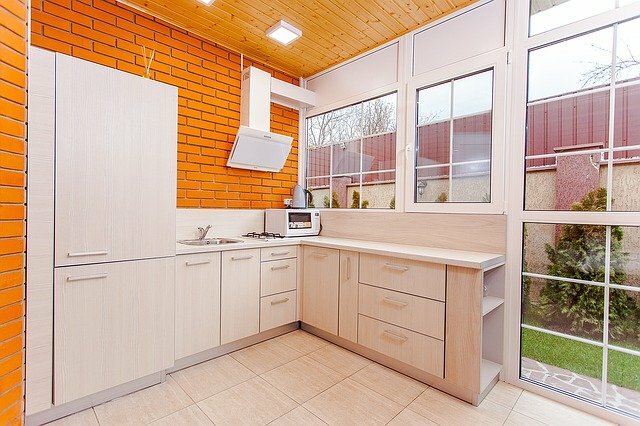 For some, this means expensive home repairs or upgrades that can be time-consuming, but there are many ways you can make your home environmentally sound that don’t require a lot of time or money. It’s a good idea to take a good look around your home before you start any projects to see what can be repurposed or changed out completely. This can include everything from flooring to light bulbs, so be thorough and make a list of what you’ll need. You might find that you can change several things and stay within your budget. Here are some of the best tips on how to make your dwelling green without shelling out a lot of greenbacks. For the rooms that use the most electricity, consider changing all the bulbs to energy-efficient lighting such as halogen incandescents. These bulbs can last several times longer than regular light bulbs and can save you around $75 per year in energy costs. You can save the Earth over 400 pounds of greenhouse gas emissions, too. If you’re looking to replace flooring, go with bamboo. This fast-growing plant is easily replenished, making it a much better alternative for wood flooring than timber. You can use it in other places around the house, such as a butcher’s block or island topper for the kitchen. In winter, it’s a good idea to open those curtains on sunny days and let the sunshine warm up your rooms during the afternoon. Bespoke blinds, I’m told are specifically designed to insulate better, imagine that, blankets on the windows! This will save you up to 10% on heating bills as well as give you some much-needed vitamin D.
Check them for efficiency to see if air is coming through any cracks or if the seal is off. Windows that don’t provide good insulation can lose quite a bit of heat in the winter and cool air in the summer, costing you more in the long run. If replacing them with energy-efficient models is outside your budget, consider buying an eco-friendly caulking solution to seal them up instead. You should also check door frames, especially on doors that are exposed to outdoor elements year-round. If your budget will allow it, installing a low-flow toilet and shower head can be highly beneficial to your utility costs and can save about half the water you would normally use. Making your home as eco-friendly as possible doesn’t have to break the bank. Once you have a good idea of what your family needs, look for alternative materials and means to make them more green, then sit back and watch your energy bills drop.